Daryl Johnson (Worcester Park, United Kingdom) on 20 February 2009 in Lifestyle & Culture. 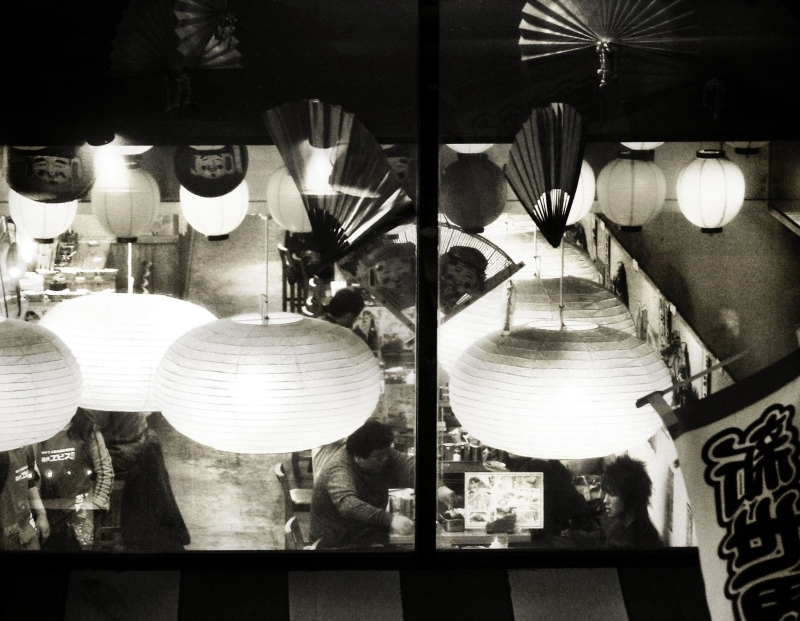 Spying through the window of an izakaya restaurant in Shinsekai, Osaka. Great shooting angle! I am amazed by the number of lamps. @standley: Thanks Richard. It does seem like overkill with the lamps doesn't it? Wonderful image and nice angle. Great shapes in the light and fans above the diners. I want to go inside the restaurant and taste the food!! I like this point of vue on the restaurant. BW is a good choice. It's got a nice dreamy quality. Great shot; and the kind of thing I like to do myself.